I like reading, and would fairly describe myself as an avid reader. However, I often wish I had the time to read more. As we all know, time is one of the rarest commodities in today’s insanely hectic society, and while films and music offer instant gratification, the written word requires patience and mental engagement. It’s long struck me as odd, then, that the majority of bestsellers are whopping great 500+ page doorstops (that most of them are complete pap is, naturally, less surprising). Still, contra to the trend, and more in keeping with people’s busy lifestyles, the rise of flash fiction seems entirely appropriate, and short stories have been enjoying a welcome renaissance in recent years. And now, Propaganda Press have started doing a line in something truly innovative, the microbook. Mike Meraz’s Black-Listed Thoughts is a compendium of pithy bon mots, one-liners, ponderences, reflections and scathing put-downs that’s perfect for dipping into, although just as easily devoured in a single short sitting. There are words of wisdom, words of encouragement, and words that are against wisdom and, well, pretty much anything else. By turns cynical and revelatory, Meraz is never less than sharp in his delivery. I found myself nodding in agreement, before turning the page and laughing heartily: Black-Listed Thoughts is a book for our schizophrenic modern age. A quick read though it is, this wallet-sized tome provides plenty to chew on and leaves a long aftertaste. It might not be big, but it’s definitely clever enough. 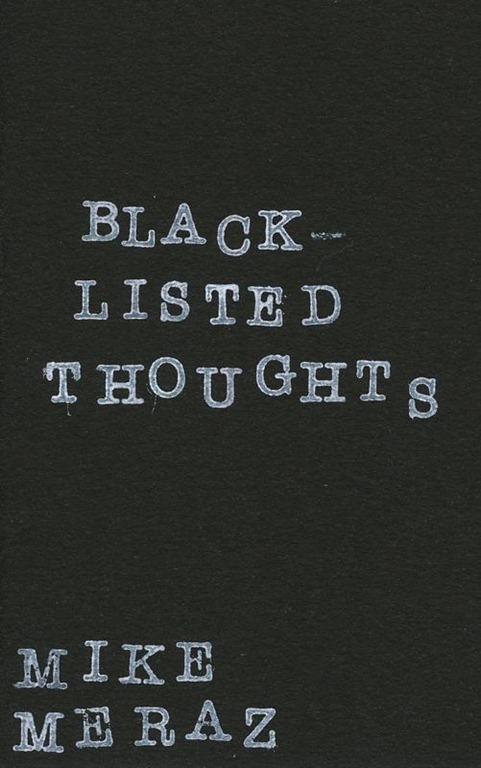 Black-Listed Thoughts is out now on Propaganda Press. Previous Post Hiding in Plain Sight: So, About These Bargain-Hunting ‘Secret’ Dealers…?